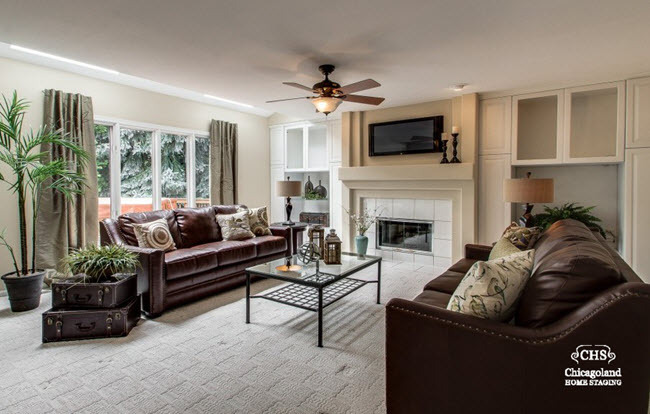 When staging a home, we always try to move the eye around the room: it makes the room feel bigger. It’s the same with bookshelves. When we move the eye across and around and down, it looks like “there is a ton of storage!” Add one pair, but not a lot of pairs. One pair gives order and calm, more than that and it becomes intimidating to the buyer that they don’t have the formal a collection of anything. A milk-glass vase, or white ironwork can help here, as can a clock with a bright white face. 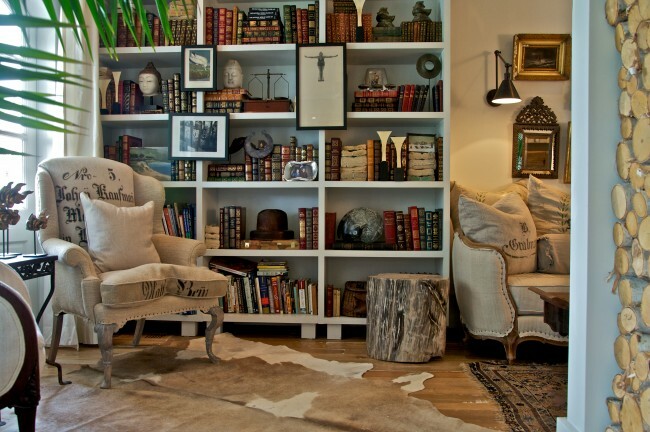 Not all bookshelves are used to display books but collections, and passions. 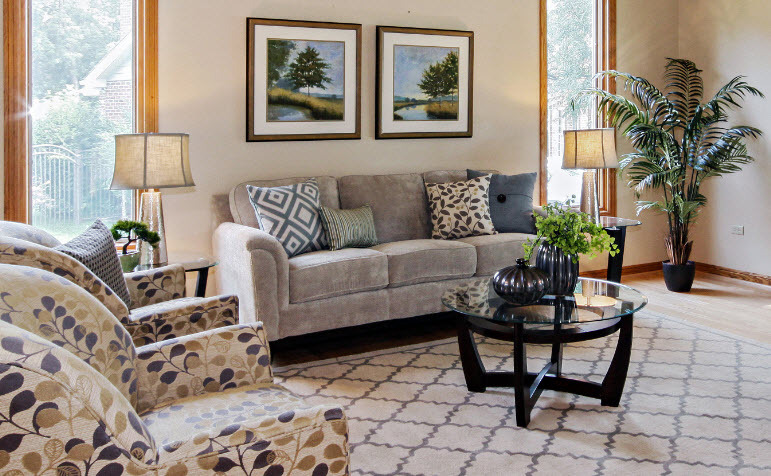 You can suggest that with a single prop and make the space look open yet nicely populated. Many of the national magazines, when they’re writing about bookshelves, suggest that people group all the little stuff into an attractive box, and put that on their shelf, as both a book-end and a good place to find things… so long as you’ve labelled the thing adequately! 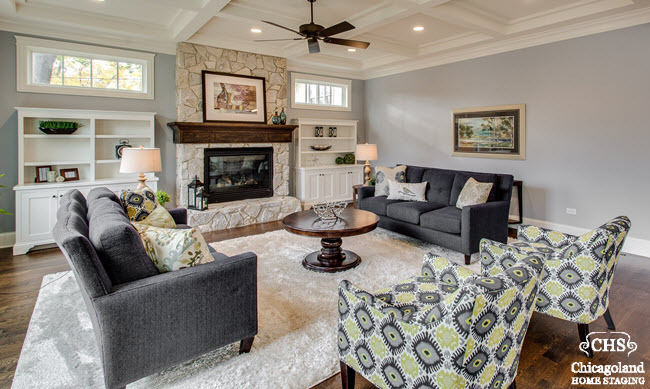 From a home staging perspective, one box or a few grouped together offer a substantial impact for relatively little time and expense. 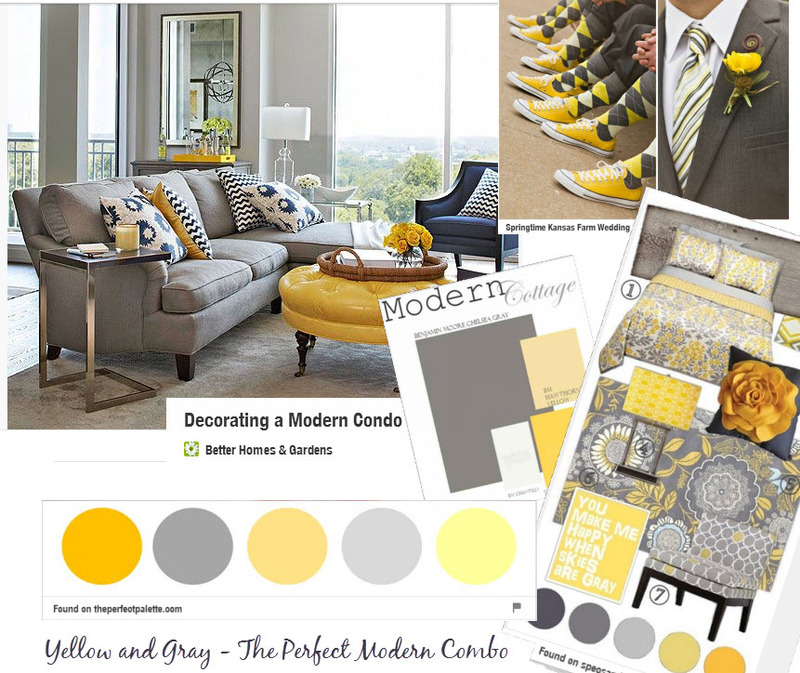 In the early days of home staging, we were trying to mimic lives of wealthy, moneyed folks. That meant our bookshelves tended to be full, or be made full. 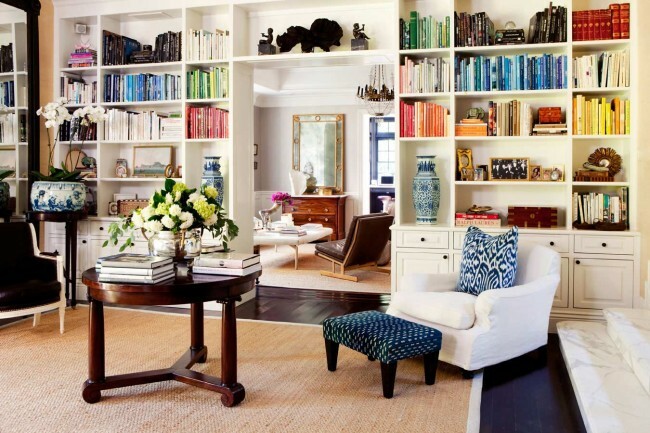 An early trick we used was to organize the books by color, on the theory that if you went dark at the bottom to light on the top, it would make the ceilings look taller, and the reverse would bring the ceiling down to make the space a little more intimate. Whether that actually worked remains unproved. 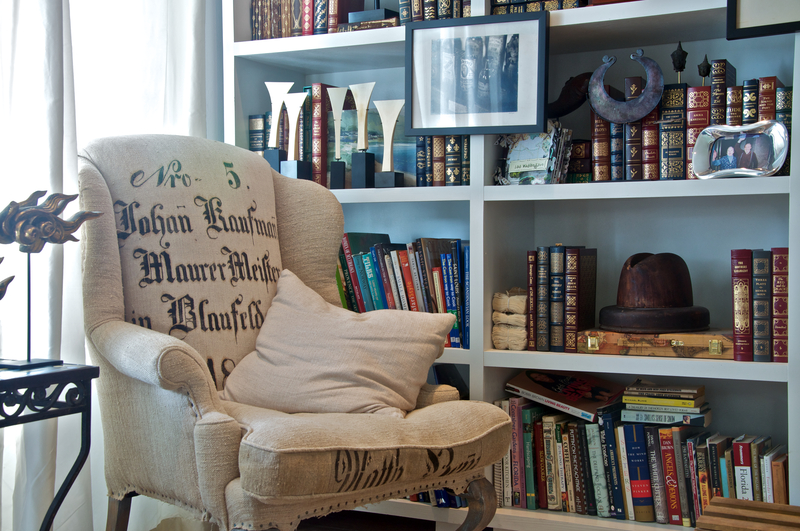 Now we ask the homeowner to start packing up the books, leaving the shelves as spare as possible. Leaving it all to the buyer’s imagination. 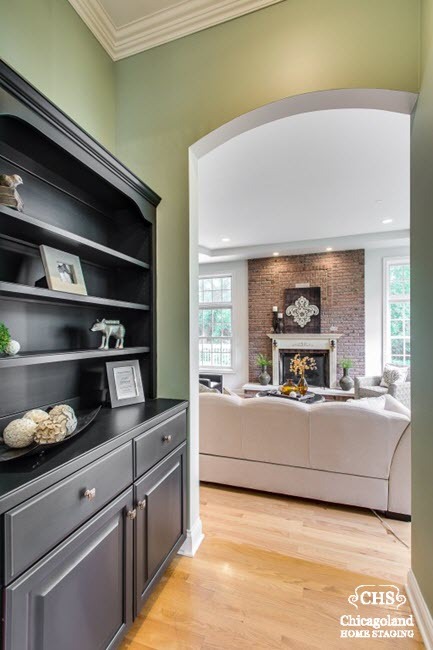 If you have white shelves, then use darker elements to contrast and emphasize the woodwork in a crisp way. 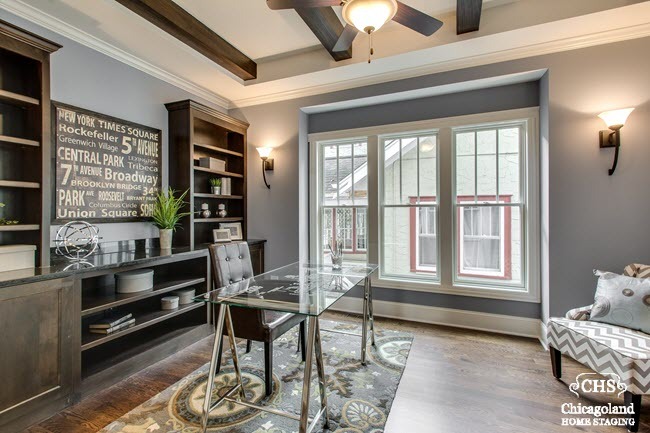 Similarly with dark shelves, you will want to add lighter elements, and glass covered framed prints where the glass reflects light the way a mirror would. How do you display your accessories? 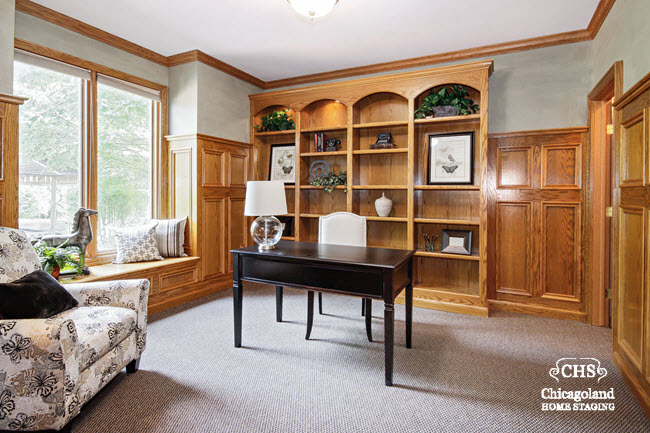 Do you have any home staging tips for bookshelves?